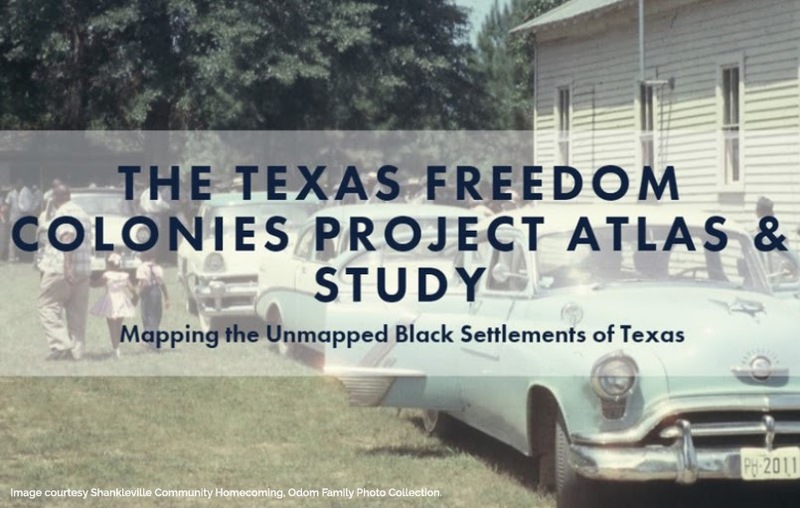 Ten of the Bastrop County freedom colonies have been already been recorded by Andrea Roberts, Texas A&M professor of urban planning, who is collecting statewide information on freedom colonies. This is a new effort and hopefully it will spur more local activity such as the effort in Bastrop to identify and preserve this legacies. Freedom colonies were the communities created by freed slaves after the the June 19th declaration of emancipation. Freed African-Americans purchased land and created new communities. Most of them were located on the edges of counties in order to get as far away as possible from the oversight of County Police. 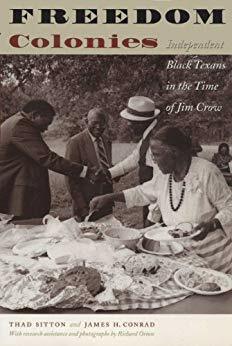 Thad Sitton has written a wonderful book on this piece of Texas history. Freedom Colonies was published in 2005 and collected as much information as was available at the time. This new effort should add to the identification and preservation of that history. 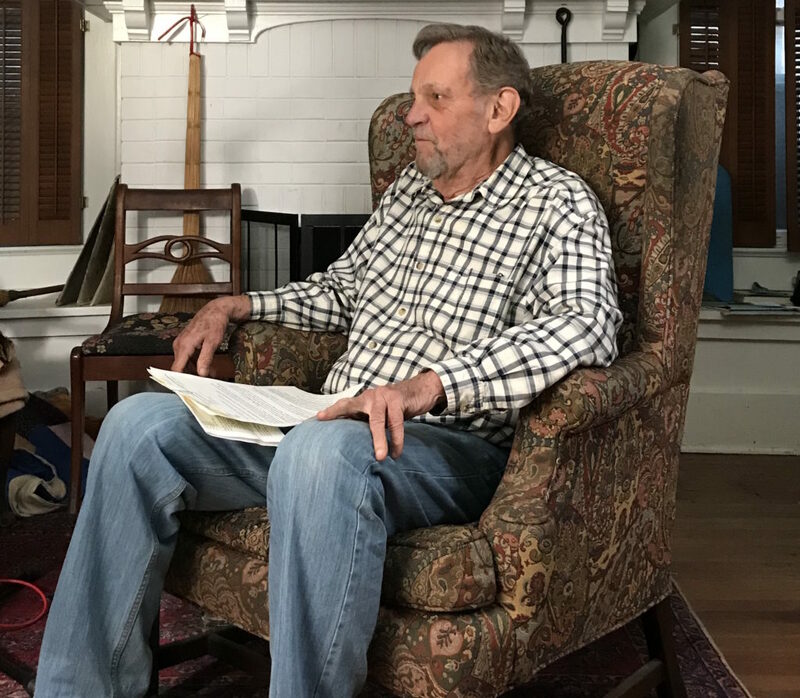 PHIT, inspired by the book, began a documentary project on St. John Colony, located in Caldwell County. Every Juneteenth, a Trail Ride is conducted to replicate the original caravan from Bastrop to St. John Colony (originally known as Winn’s Colony) to commemorate the hurried trek to their new community. It is an impressive sight as the Buffalo Soldiers ride their horses along the rural roads. A great and inclusive feast is held at the community building when they arrive. We were unable to finish the project, but still have the video clips and interviews. Travis County is listed in Freedom Colonies as having 5 settlements. Clarksville, Kincheonville, Littig, Masontown, and Burdett’s Prairie(which is now known as Montopolis). In both Texas and Florida, the Duval name is scattered through place names and history. Duval County in South Texas is named after Burr Duval. Duval County in East Florida is named after his father, William Pope Duval. There is a bit of controversy about the origin of the naming of Duval Road in Austin. Burr Duval, in 1835, heard about the Revolution in Texas. He gathered a group together and headed down to Texas. It didn’t end well. He died in the Goliad massacre. 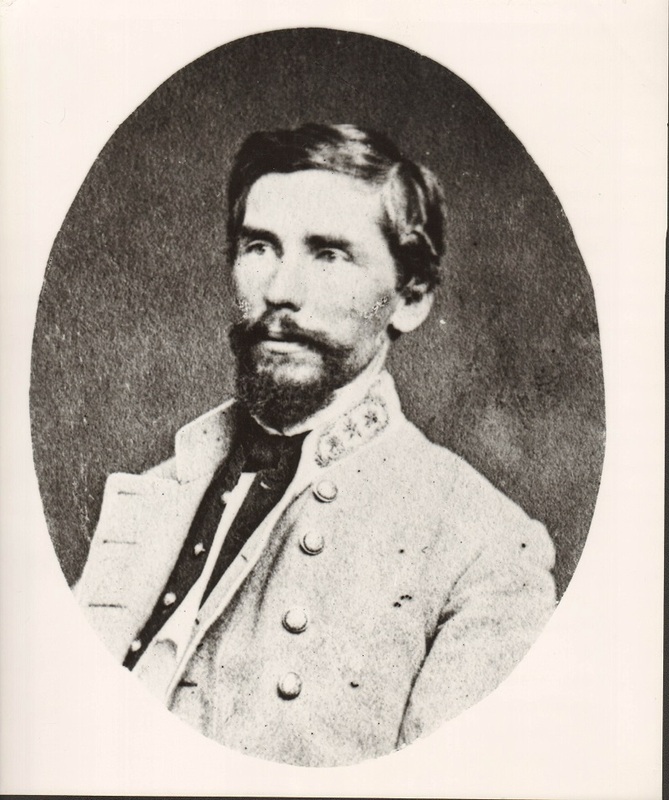 His brother John Crittendon Duval accompanied him, but was spared at Goliad. Later in life, he wrote “Early Times in Texas” which included the story of Goliad, which was an eyewitness account. J. Frank Dobie, in 1939, when he was dredging through Texas lore and making a career of retelling those stories, crowned John C. Duval the first Texan writer. Thomas Howard Duval, the third Duval, followed his brothers to Texas only after Texas achieved independence. He was appointed a Federal Judge in the 1850’s and took his pledge to defend the country seriously and opposed secession. He stayed in Austin and was part of a group of Union, i.e., United States, supporters. The vote in Austin to secede was close and the Unionists were strong but definitely a minority. The group of patriots included Governor Pease(of Pease Park, since we are doing place names in this post). 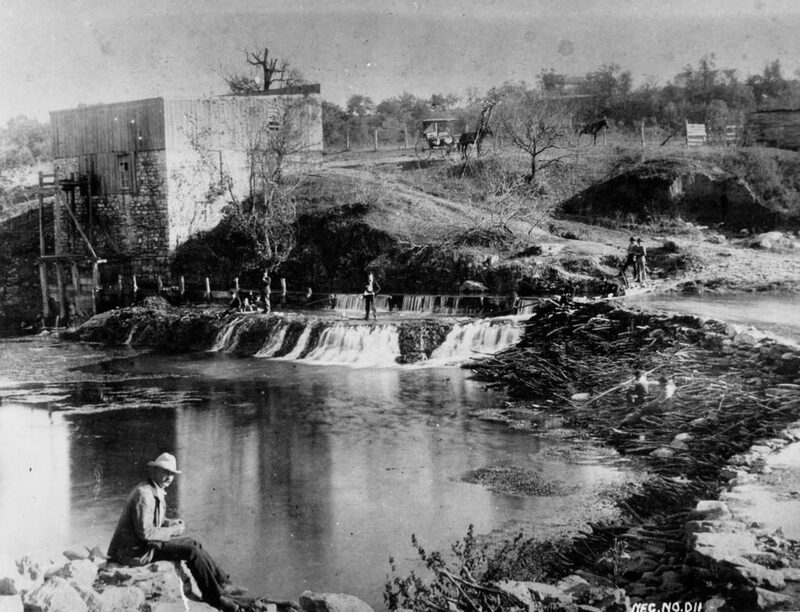 Occasionally, the secessionists would get riled up and the Unionists would have to head to the woods south of Barton Springs and hide out and hang out—kind of like the hippies on the 70’s. It is a ongoing project of PHIT to collect the names of the Union supporters in Austin and create an educational webpage to honor the Austin opponents of secession. Duval Road was originally a road that went from Austin to Duval, Texas. Duval, Texas was a small settlement north of what was then Austin. It would have been in what is now the Austin city limits, probably just south of McNeil. Supposedly, there was some quarrying going on. George Duval ran a general store in the 1880’s. The entire town burned down around 1900. Supposedly, residents still find molten glass occasionally. A Statesman article says that Duval road was named after the storekeeper Duval. J. Frank Dobie, however, says that Duval Road is named after Burr Duval, the brother who died at Goliad. I hate to contradict the icon who presides over Barton Springs, but I prefer to think of Duval Street as being named after Burr’s brother, Thomas Howard Duval, who supported the Union in the Civil War. The Dad of these three Duval brothers was the devil incarnate. He was part of the genocide of non-white peoples in Florida, and largely instigated the Second Seminole War (Andrew Jackson precipitated the first). Duval was appointed governor of the Florida territories in 1822. At the time, the two settled towns were St. Augustine and Pensacola. He thought too much time was spent traversing between the two, so he chose a spot, equidistant between the two, to found a Capitol City. That spot just happened to be Tallahassee. Unfortunately, it was occupied by a Creek named Enemathla. And Enemathla had developed gorgeous vegetable gardens, fruit orchards, cotton fields, and stands of sugar cane. 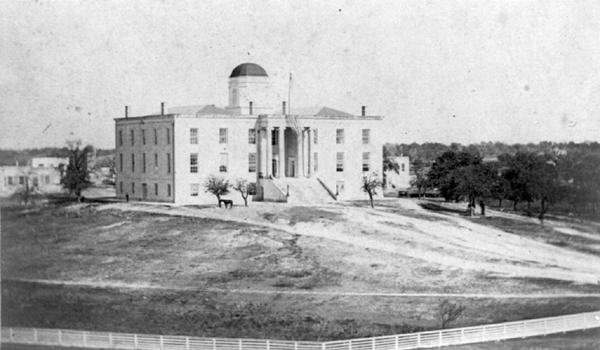 It is just entirely possible that the presence of a well-developed agriculture was why Tallahassee was chosen to be the Capitol. In the Treaty of Moultrie Creek, this beautiful land was traded for, according to Duval, even more beautiful land in Oklahoma. Enemathla and his people didn’t agree, and the Second Seminole War ensued. Duval ended up owning a fair amount of Tallahassee, but his sons moved on to Texas about the same time that the Third Seminole War was raging. I am not sure why they didn’t fight in Florida, but perhaps they didn’t like alligators. There is a Duval Road in Tallahassee. And Jacksonville is located in Duval County. Please remind our Florida friends that it is a different Duval. So that is the story of the Three Duval Brothers and their Dad. The next time you run into one of the 150 people a day arrive in Austin, and they want to know about place names, remind them of People’s History in Texas. People’s History in Texas interviewed Brady Coleman last week. Brady Coleman was a member of the Austin Law Commune that practiced movement law in the 1970’s. The movement law office was started by Jim Simons and Cam Cunningham in 1969. Brady Coleman joined in the early 70’s. The lawyers operated as a commune in that, the secretaries, legal assistants and lawyers, collectively decided on the cases they would take. There were no salaries. The money, what little there was, was dumped into a big collective pot and each person drew what was needed to live. There were only a few such arrangements in the country and the Austin Law Commune lasted for most of the 70’s. It wasn’t unique to America, but it was rare, and it was certainly unique for Texas. PHIT is collecting the oral histories of the lawyers and clients of the Austin Law Commune. A documentary is expected to be completed in 2020. We also have plans to expand the oral histories to include other significant movement lawyers of Austin. This is a slice of history that has been neglected in the history books. And it is PHIT’s mission statement to tell those neglected and forgotten stories. If we don’t collect these stories, they might be lost forever. Brady is an engaging storyteller. In 1991, Brady retired and began an acting career. He played a lawyer in the movie Bernie. He also appeared in numerous episodes of Walker—Texas Ranger. He has a rather lengthy filmography on IMDb. 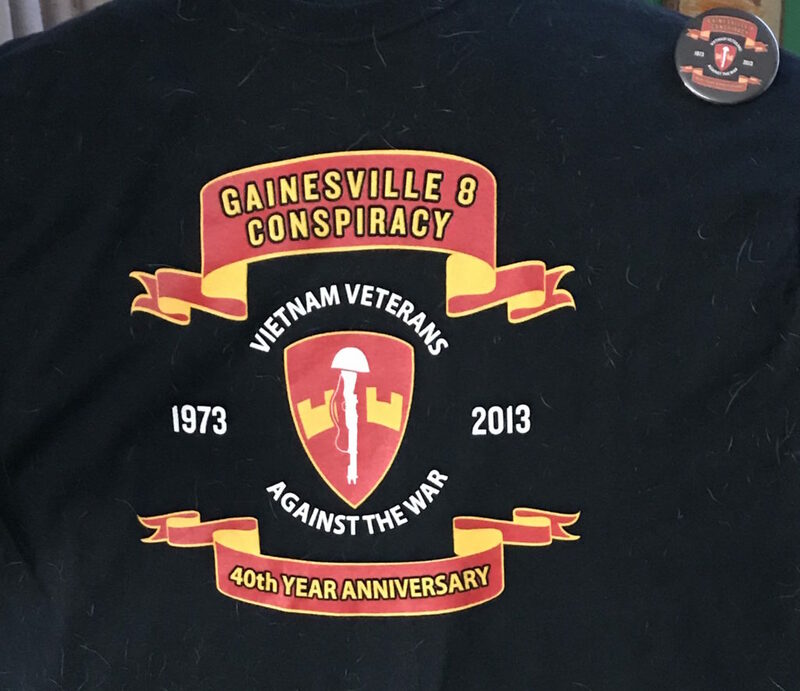 In our interview on camera, Brady regaled us with tales of the Gainesville 8, who were accused of conspiracy and terrorism for protesting Nixon in Miami at the Republican National Convention. They were acquitted. He successfully defended Bartee Haile who was accused of police assault in Houston. This was the same incident in which Houston police killed Carl Hampton and wounded 12 others in a planned sniper attack. Chicanos Unidos were accused of a firebombing in El Paso and Brady and Cam Cunningham successfully defended them. Brady also defended conscientious objectors, draftees, GI’s facing military litigation, and a plethora of protestors against the Vietnam War. 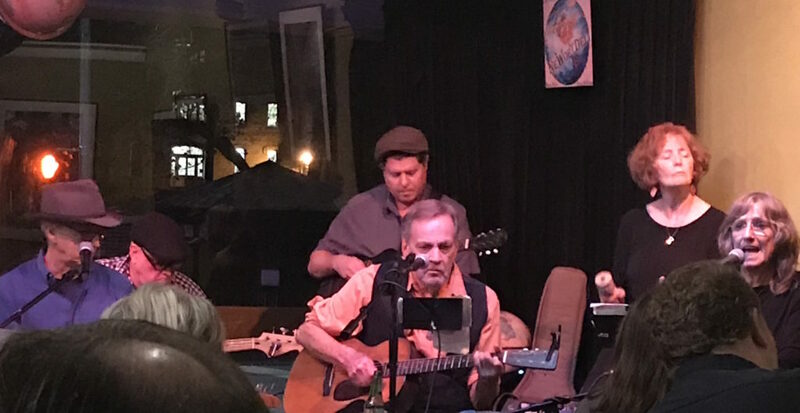 Brady also plays in a band—the Melancholy Ramblers. They play standards and sing labor songs and generally have a rousing good time. Keep an eye out for the Austin Law Commune Documentary. We will post updates as we interview more lawyers of the Austin iconic law office. We will soon start fundraising to pay for the editing of the documentary. So hold on your nickels and dimes. 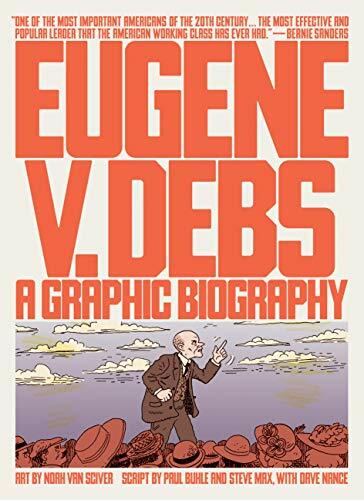 Paul Buhle, Steve Max, Dave Nance and Noah Van Sciver have produced a new and delightful biography of Eugene Victor Debs, the iconic American socialist, told in a comic book format, although these days, the proper term is graphic book. For Debs, who created and constantly evolved new approaches to the battle against capital and injustice, approaches that were always peculiarly American, a graphic book is the perfect vehicle to tell his biography. Eugene Victor Debs is an icon of American Socialism. The man spoke of an American socialism in an American context in words that still resonate today. A labor organizer, he was one of the first to insist on industrial unionism. He was the primary organizer that helped create the Industrial Workers of the World, the legendary IWW. He was the driving force behind the formation of the Socialist Party. He supported women’s right to vote and defended their right to birth control. He was imprisoned for his pacifist speeches in WWI. During those troubled years, Debs was an American moral force that is still largely unrecognized. And this biography presents, graphically, the direct line of succession of that moral force from Eugene Debs to Bernie Sanders. In 1912, Debs received more votes as a Socialist than any Socialist candidate has since that time. 1912 was the high mark. The story of how that happened and why it faltered needs to be understood. And this graphic novel is a short and excellent portrayal of the story. Most histories of Debs’ life start out with his working life, toiling on the railroad as a fireman, shoveling coal into a furnace. And, indeed, artist Noah Van Sciver has some exquisite panels of Debs that depict his time working on the railroad. But Paul Buhle begins his script, his graphic biography, with an earlier and more hopeful start in which Debs’ French immigrant parents name him after two French humanist novelists—Eugene Sue and Victor Hugo. It turned out to be exceptionally appropriate. Eugene Victor Debs had the ability to write and deliver amazingly stirring and memorable speeches. Those who heard his speeches say he was as mesmerizing as his namesakes. A labor unionist, a socialist, a pacifist, a supporter of women’s right to vote, an advocate of minorities rights, Eugene V. Debs was a towering figure in America. This little graphic book is as much the story of American democratic socialism as it is the story of Eugene V. Debs. In the final section, it follows the Socialist saga from Eugene Debs to Norman Thomas to Michael Harrington to Bernie Sanders. A direct line of impassioned pleaders for justice and equality. The Socialist Party that was never successful politically but always pointed the way to the next set of changes. In one panel, Norman Thomas reflects that the New Deal was effectively the platform of the Socialist Party. Understanding Eugene Debs story and his approach to an American socialism is vital to understanding the process of change in America. A graphic novel is an oddly successful way of achieving this. Debs, shown in his trademark bowtie and his slouching way of walking and his determination to continue the fight in spite of his deteriorating health, is clearly illustrated and clearly sympathetic. Debs is not the macho male revolutionary with the correct political strategy. Debs is the moral force of change. Debs saw wrongs and tried to make them right. Labor unions, women’s rights, racial equality, peace. He fought the good fight for decades. The graphic pictures show the story as only a graphic book can. Hitting the highlights and trouncing quickly from peak to peak, it tells the story and tells the story effectively. Since this is also a People’s History in Texas blog cross-post, the Texas connection must be pointed out. In the last section, where the historical lines are drawn to the present day, one panel depicts the Oleo Strut. The Oleo Strut was a GI Coffeehouse in Killeen, Texas that offered support to antiwar soldiers. It was enthusiastically supported by Students for a Democratic Society activists from Austin. The peaceniks, apparently, were the sons and daughters of Debs and beautiful descendants of his pacifism in WWI. The PHIT documentary THE RAG, an Underground Newspaper talks about the Oleo Strut. As a final minor note, and of interest only to Texas historians and to People’s History in Texas, it must be pointed out the Wilson’s Postmaster General, the one who denied second class mailing permits to the socialist press, was not Albert Burelson, but Albert Burleson. Burleson was from San Marcos and a friend of Colonel House. He is buried in Oakwood Cemetery in Austin if anyone wants to drop by and say a few words to him. New Journalism Project is collaborating with People’s History in Texas (PHIT) to re-publish two books. As a new generation of activists take on gentrification and find inspiration in the history of women who organized before they were born, these books will find new audiences. Clarksville: Whose Community? by Jennifer Sharpe was first published in 1982 and chronicles an important fight against gentrification in a west Austin neighborhood. 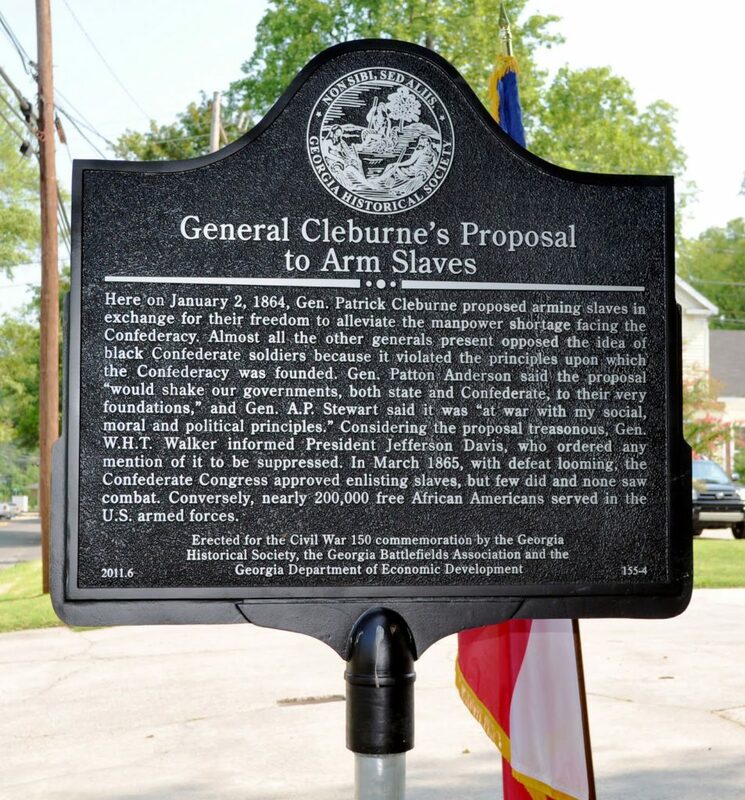 Clarksville was founded in 1871 as black freedom town where former slaves reunited with family separated and displaced by slavery. In the late 70s, this community waged a battle against developers. That story is now relevant as the city of Austin is grappling with gentrification on a massive scale. PHIT and New Journalism Project hope this new book this will contribute to the discussion. A second project is a booklet originally published in 1979 to accompany the PHIT documentary, “Talkin’ Union.” The film uses oral histories and archival photos to tell the story of Texas women garment workers and pecan shellers who organized successful labor actions in the 30s. Women in the Texas Workforce: Yesterday and Today, edited by Richard Croxdale and Melissa Hield with an introduction by Glenn Scott, is an important addition to the documentary, relying on research and transcribed interviews. PHIT wants to to make the book more widely available by republishing with the New Journalism Project.Peoples History in Texas (PHIT), a 501(c)(3) organization, was founded in 1975 by five women including a writer, an elementary school teacher, a librarian, and two graduate students. PHIT brings to life the stories of ordinary people and significant socio-political movements through its research, publishing, and media production. The New Journalism Project is a 501(c)(3) Texas nonprofit that publishes The Rag Blog, sponsors Rag Radio, and produces educational and community activities related to alternative progressive journalism. Building upon the success of its first book, Celebrating The Rag, New Journalism Project is expanding its publishing efforts under the imprint of NJP Publishing. The Austin History Center has a new photographic exhibit on streetcars in Austin. It is a lovely exhibit that presents gorgeous photos of both mule drawn cars and electric cars. Followers of People’s History in Texas should definitely get by to see it before it closes. One of the interesting aspects of the streetcar period is that it ended in 1940. The rationale for changing from electric streetcars to gasoline buses was unclear. The streetcar company was given a new franchise but only if it converted to gasoline buses. The price from buses was a dime and the price of a streetcar token was a nickel. It was odd. People’s History in Texas is performing archival research to find out why. There was a famous incident in Los Angeles in which General Motors was accused of buying the electric streetcar company in order to switch from electric streetcars to gasoline buses. Those who have seen the movie Who Killed Roger Rabbit will be familiar with the topic. Additions to this story will be posted as the archival search continues. Grassroots Federalism is a neatly threaded tale of three interrelated stories. The author slyly notes the comparison of Lyndon Baines Johnson and Bob Pogue—both from Central Texas, both poor, both from political families, and both politically ambitious. One became President of the United States and the other the Chair of the powerful House Agricultural committee. It is also the story of the two towns that these two men represented in Congress. Austin and Waco are separated by a 100 miles, a mere hour and a half on I-35. 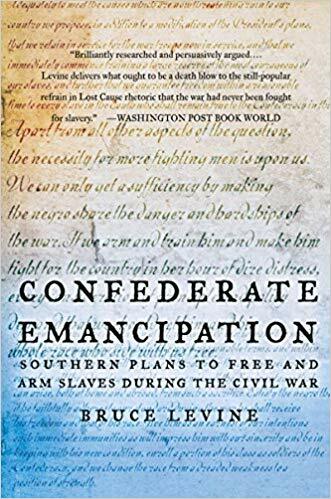 But the different racial interactions of the two towns were stark and that sense of place affected the development of the two towns, and the political trjectory of their two two representatives. But despite the differences, 40 years of federal programs led to vast change in both cities. The author weaves this narrative by bouncing between the differences and similarities of the cities, comparing and contrasting the friendship and eventual conflict between the two political titans, and detailing the interworkings of the federal agencies of the National Youth Agency, Model Cities, and federal support of dams. The differences in the reaction to the racism and federalism of both representative and district, he says, is due to place. LBJ represented the Hill Country and Austin, beacons of liberalism and tolerance, and the home of the Texas German community Pogue represented Waco, famous mostly for its intolerance and bigotry and racial violence. LBJ was able to adapt when the time came for change. Pogue was not. But Pogue’s friendship with LBJ led to a funnel of federal money into Waco and that money saved Waco after the devastating tornado of 1953 and the floods of 1955. The prime thrust of the story, though, is to provide a case study of how the federal government impacted local government. The federal government provided money and permitted local control of that money, but only if advisory committees were set up, advisory committees that ended up changing the racial dynamics of Waco. A worthy read and a contribution to scholarship.